Please be advised that CTC Childcare Services will cease operation from 29 March 2019. South Burnett CTC notified staff and parents on Thursday (February 7) that it will be closing its childcare services in Nanango on March 29. CEO Nina Temperton said the decision was a very painful one to make but it followed three years of unsuccessful negotiations involving the Department of Education and other potential childcare providers. “CTC has finally given up,” Mrs Temperton said. “We are a not-for-profit organisation and just can’t continue to cover the losses that these services have been incurring for the past 10 years. The affected services include the Community Kids out-of-school hours and pre-prep service at 42 Drayton Street. “We began providing these programs at the request of the Department of Education in order to assist working parents,” Mrs Temperton said. “We expected to eventually break even financially but never achieved that goal and in fact made heavy losses every year for 10 years. “We simply can no longer sustain this. “Less than a handful of the children who use out of school hours care attend every weekday but we acknowledge they will be the hardest affected until an alternative provider is found”. “CTC has tried for the past three years in conjunction with the Department of Education to find another organisation to take over the service but in the last few days all hopes were dashed when the latest tenderer dropped out. “The buildings, which are opposite Nanango State School, are owned by the Department of Education. 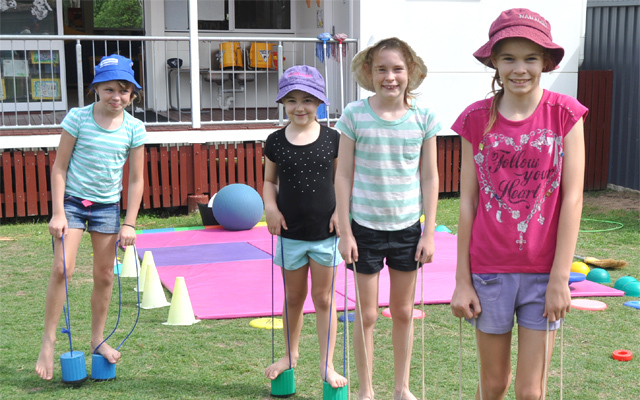 The Nanango Childcare Centre, at 21 Drayton Street, will also stop operating under the CTC banner on March 29. However, this facility, which provides long-day care, may be taken over by another local childcare provider. “CTC owns the premises and we are hopeful an approved local provider will lease them and continue with the provision of care with minimal disruption to children and families,” Mrs Temperton said. Mrs Temperton said she was hopeful that many of the 16 CTC staff, who worked across both Drayton Street facilities, would be re-hired by this new provider. “We tried our level best for a long time – far too long for our own good – and it is most upsetting that we finally have to give up,” she said. provide the foundation for a sense of belonging. documented they emerge from Anonymity ……………they are given a voice. limited to a sense but a holistic understanding of self and the world around us. Where children can explore, experiment, learn and have fun!!! experience the world from their own point of view. They each have their own voice and their own story.